This ultrapure D(+)galactose is an essential sugar. The structure and function of galactose makes it an essential component in the human organism. This product contains an ultrapure form of D(+)galactose. Gluten-free, lactose-free and suitable for diabetics. Galactose is important in infant development. Galactose is a typical component of the sugar coating (=glycocalyx) that coats every cell. There, galactose is responsible for intercellular contact, acts as the recognition structure for extracellular signals and is also an essential component of the extracellular matrix (ECM) where, as the material between the cells, it embeds the cells in the tissues and organs. 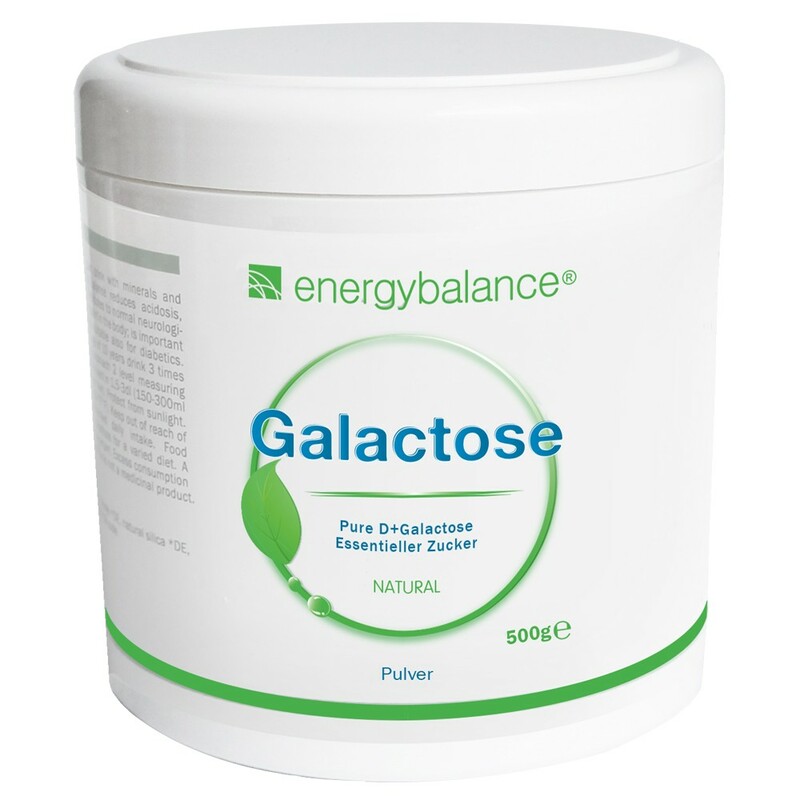 Galactose belongs to the same family as cane sugar, fructose and lactose, but is lactose-free and suitable for diabetics. Galactose is found in milk and whey as well as in the human organism. Infants in particular receive enough galactose from breast milk to promote their growth and development. improves cellular communication and improves calcium absorption. particularly helps improve memory, stimulates calcium absorption and improves intercellular communication. Glucose is the sugar substance that forms when our bodies metabolize carbohydrates. influences brain development, particularly long-term memory. It provides infants' quickly growing bodies with glyconutrients. plays a key role in tissue and cell renewal. Mannose binds impurities in the bladder and prevents them from building up along the bladder wall. It is not contained in the food we eat. You can also find it in certain Chinese mushrooms. Xylose supports intercellular communication and is contained in the food we eat. It is often used as a sweetener in products made for diabetics because it only has a minimal effect on the body's insulin levels. is crucial to brain development, brain regeneration and pineal gland function. The older we get, the less our bodies are able to extract N-acetylneuraminic acid from the food we eat. It is contained in breast milk. N-acetylglucosamine is not contained in the food we eat and can only be found in rare, untreated plants. This most recently discovered form of sugar promotes cell communication. It is not contained in the food we eat but can be extracted from plants using a complicated extraction process. 500g very pure D(+)galactose powder, water soluble, slightly sweet flavor.